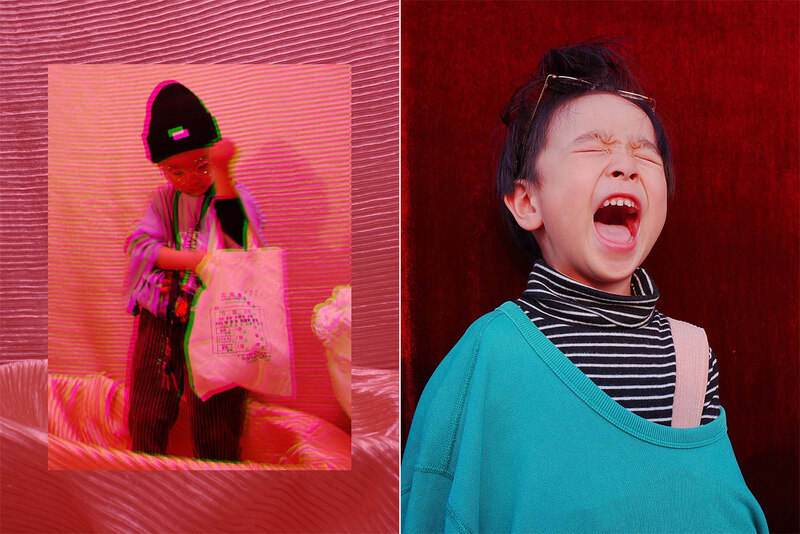 In the beginning, yoyo’s parents would post pictures of their child on social media just like any ordinary parents, but yoyo’s unique style and charm quickly attracted a large following. Neocha recently had the opportunity to shoot a video with this young fashion icon. 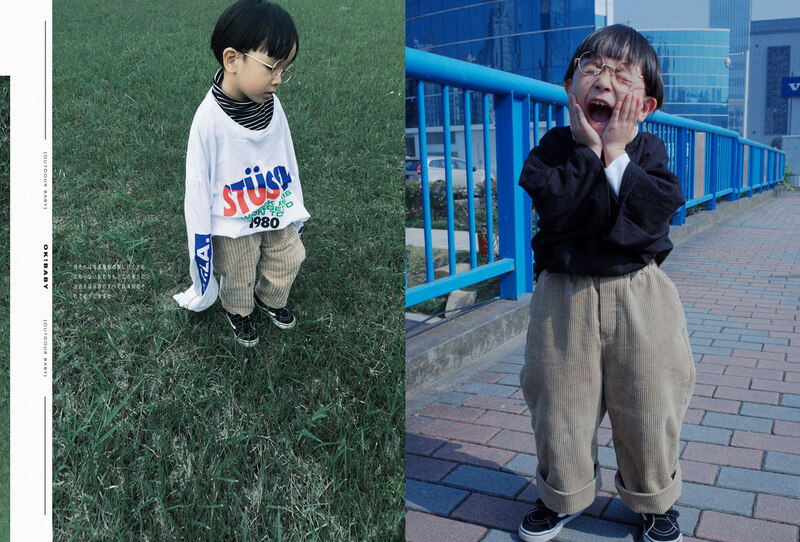 On the day of the shoot, yoyo’s mother styled him with a tape measure for a belt and a pair of large adult men’s jeans. 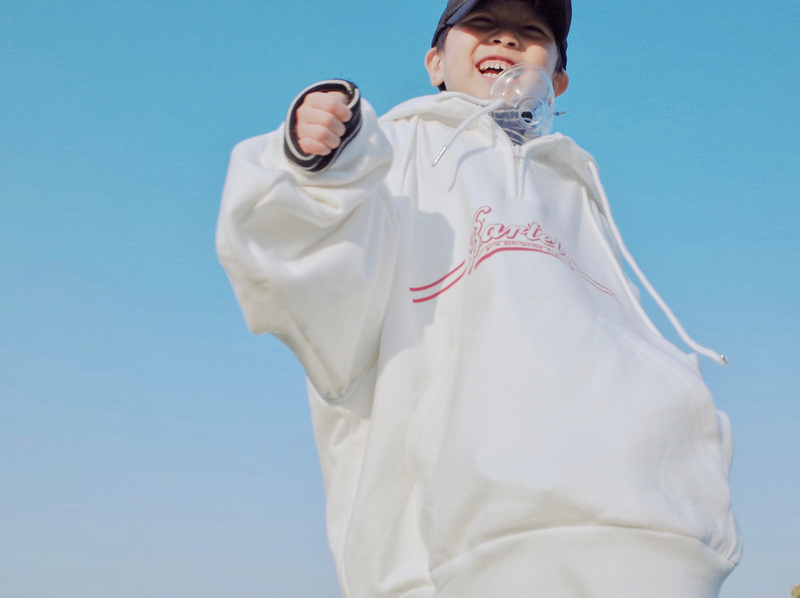 She tells us, “Sometimes yoyo feels like the clothes aren’t comfortable, so he’ll take them off himself, but most of the time he loves wearing oversized stuff.” yoyo’s parents describe their family’s fashion situation as so: if they buy a large-sized item, all of them can wear it. 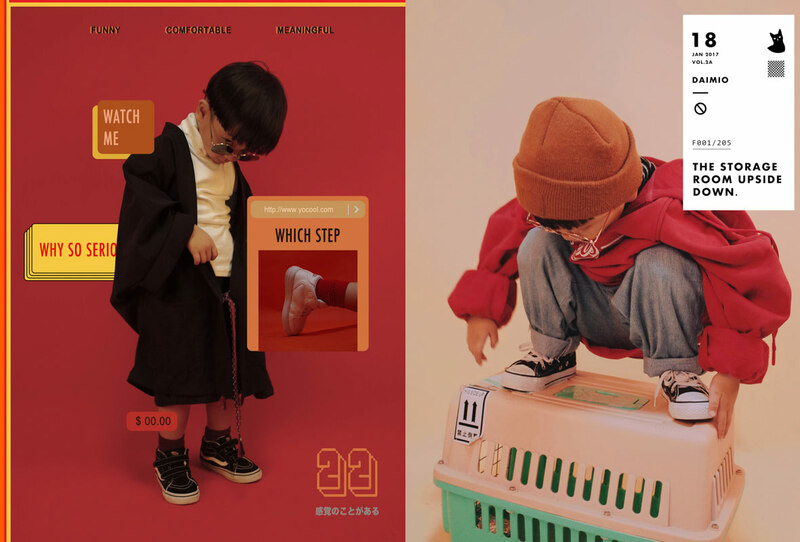 The item will fit perfectly on yoyo’s father, it will be a relaxed, casual fit on yoyo’s mother, and a super-oversized fit on yoyo. For them, this kind of arrangement is both economical and environmental. When people see yoyo’s photographs, they’ll often assume that there’s an entire production team working to create these images. 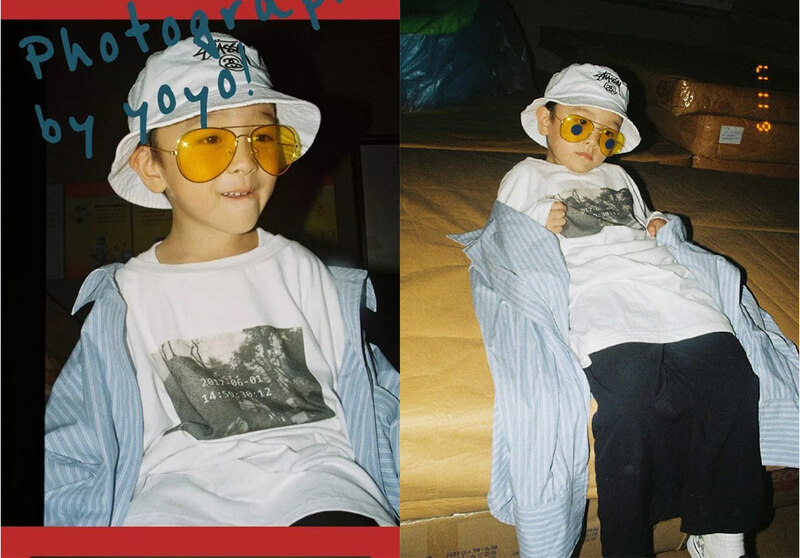 But the reality is that everything is produced by yoyo’s father, who set up a makeshift photo studio in their rented apartment (with just a stand to hold up a colored backdrop). Sometimes they’ll do a photoshoot outside when they take yoyo out to play on the weekends. 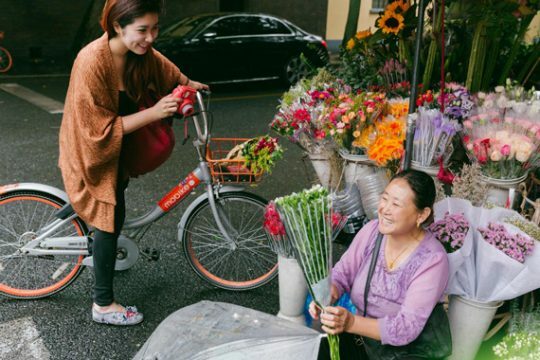 They won’t use any professional equipment – all they use is a phone or a simple digital camera. 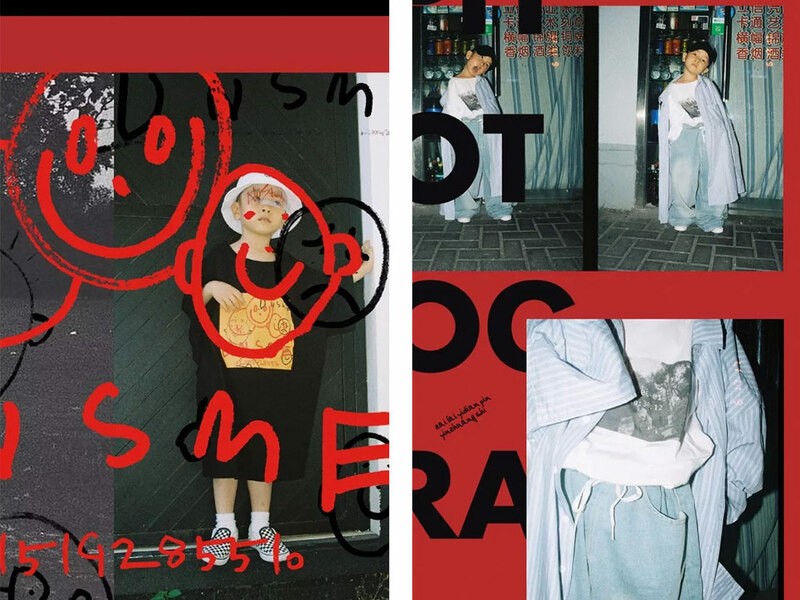 yoyo’s father works as a designer, so he likes to add different graphic elements to yoyo’s photographs in post-production. 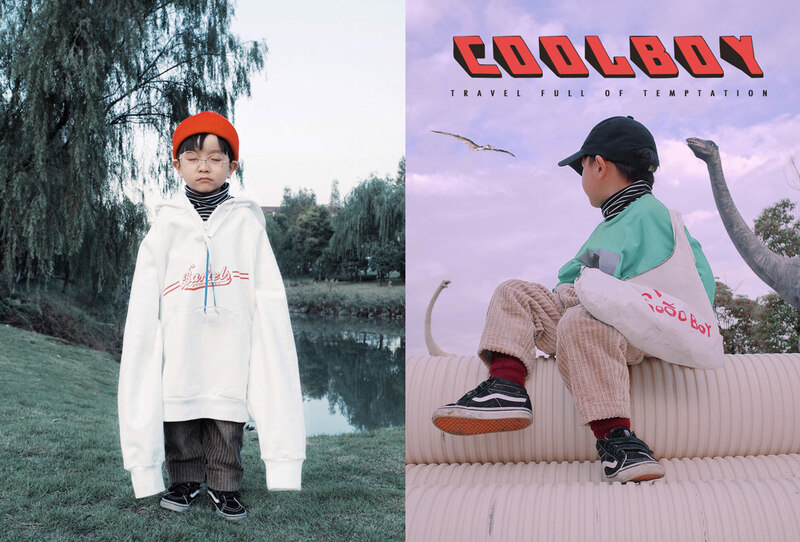 The unique, vintage feel of the photographs caught the attention of German fashion magazine Coeval, which introduced yoyo to new fans outside of China. 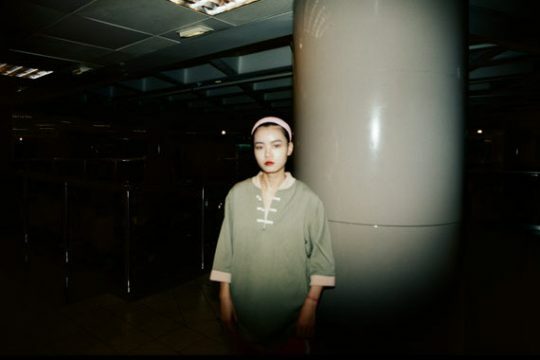 yoyo’s wardrobe is handled by his mother, who never had any formal fashion training. Instead, she follows her intuitive fashion sense to put together yoyo’s outfits. But one unexpected member of yoyo’s team is his grandmother. 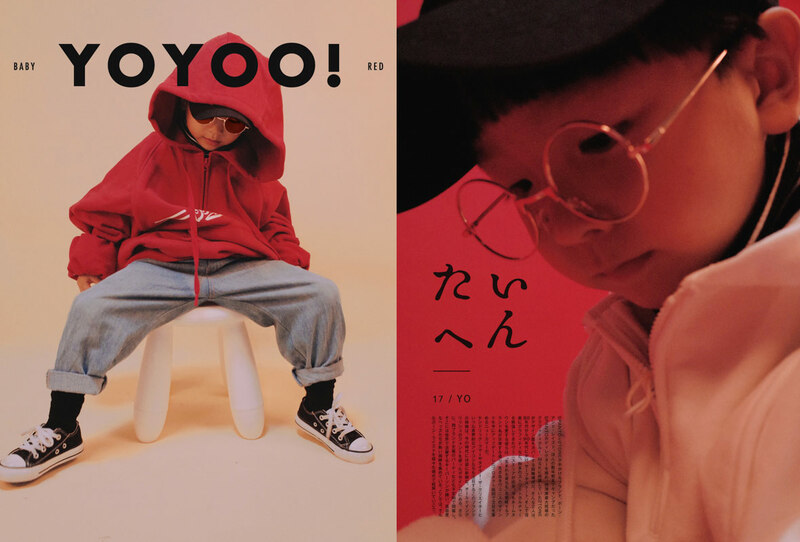 “Sometimes we’ll see a clothing item in a magazine that we like, but we won’t know where to buy it, or we don’t want to spend too much money, so sometimes yoyo’s grandmother will just make it for us.” For example, the orange sportswear set was tailored by yoyo’s grandmother. 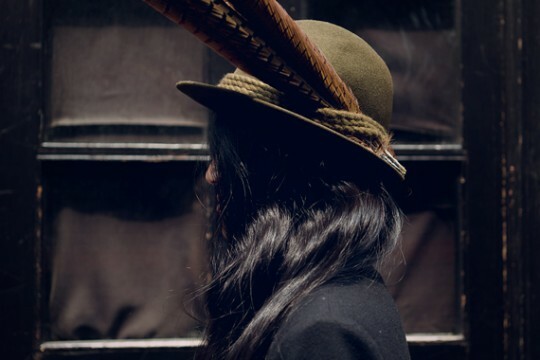 Although the handiwork might not be up to the standard of a professional tailor, one thing’s for sure – each of yoyo’s outfits is definitely made with lots of love. Besides being impressed by the fashion sense of yoyo’s entire household, another thing I was struck by during our shoot was the family’s laid-back attitude towards parenting. Both parents were never overbearing or overprotective – when snacks fell on the floor and yoyo ate them, they wouldn’t make a big fuss; if yoyo wanted to pick out his own outfit, they wouldn’t interfere (even if the grownups didn’t understand his sense of style); or when yoyo wanted to play and roll around on the dusty floor, they would let him. We always hear parents telling their children that if you aren’t obedient, I won’t buy you this or that or take you out to play. 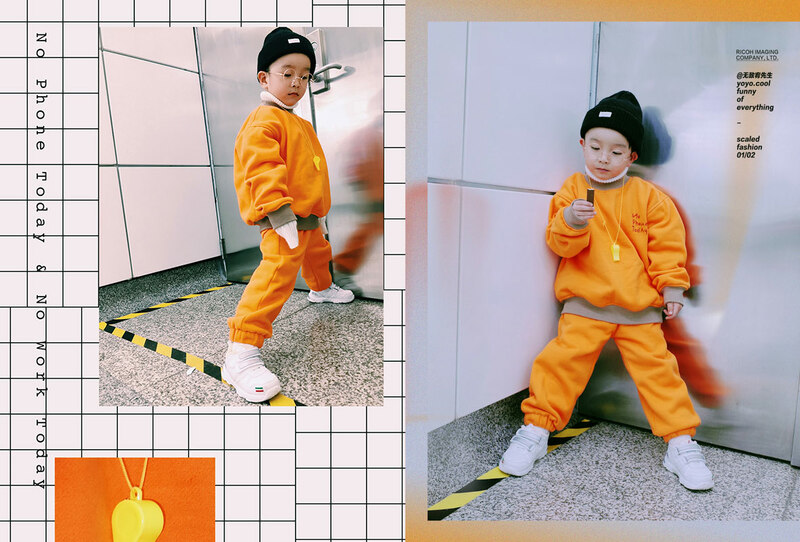 But yoyo’s mother has a different mindset – she hopes that yoyo won’t be too obedient, that he can still be a little rascal from time to time, as long as he’s happy and healthy. 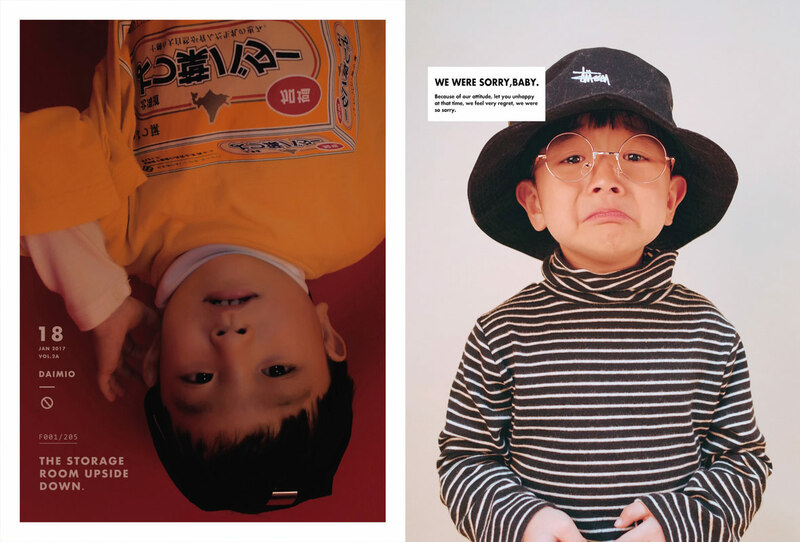 Perhaps it’s this free and unrestrained style of parenting that has allowed yoyo to become the cute and lovable child that you see in front of the lens today. What’s the Point in Growing Up?